La Palma is not only one of the most beautiful islands in the Canaries but also the world. Featuring lush forests up north juxtaposed by arid volcanic land down south, its two faces blends in and culminates at its peaks that serve as a gateway to the stars and the rest of the universe. 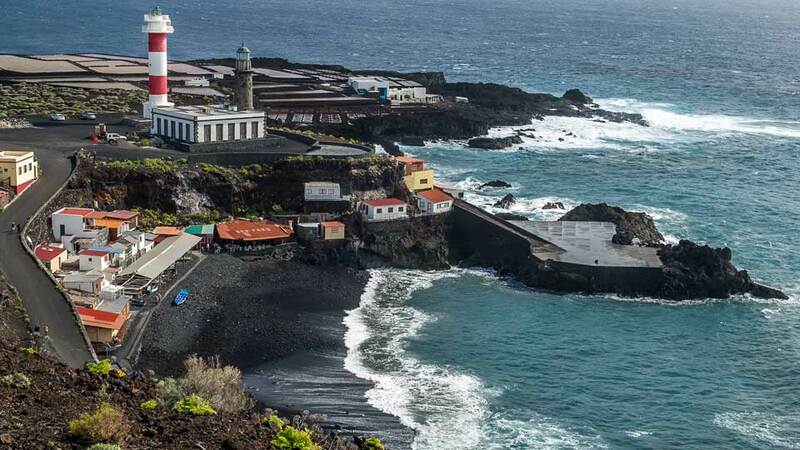 Unlike some of its busier neighboring islands, La Palma has remained untouched. As such, it offers holiday makers pristine beaches and ancient forests, as well as stunning geologic formations. Step into the island, and it feels like stepping into the world where time ceases to exist as the past and the present merge to unite man with nature. In 1983, La Palma is the first of the Canary Islands to become a reserve. At first, it was only the towns of El Canal and Los Tilos. In 2002, the whole island waved its reserve status flag with pride. Aside from its people, La Palma’s trump card is its awe-inspiring scenery. Dubbed as wild beauty of the Canaries, La Palma is a place of eternal spring, evergreen nature, and splendid land and seascapes. In general, this gem is a great place to connect with nature under clear skies, relax on isolated beaches or hike through deep gorges and past volcanoes. In 1983, El Canal and Los Tiles were the first areas declared as a reserve. But by 2002, the reserve status extended to the whole island. 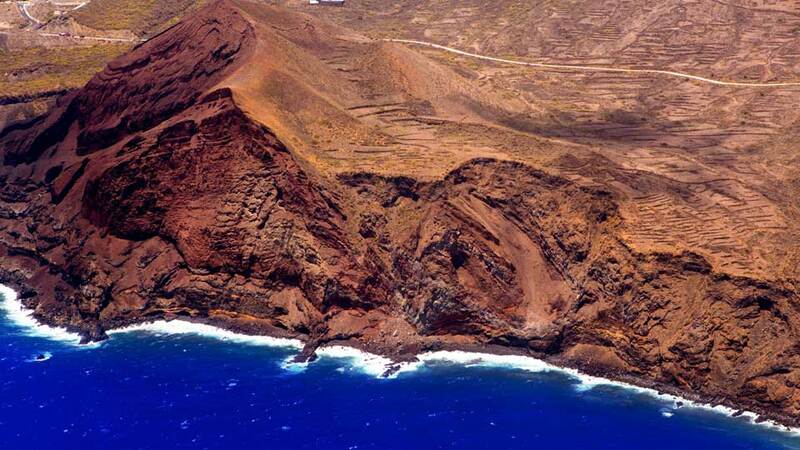 From the surrounding shores to the volcanic peaks, the whole island of La Palma became a UNESCO Biosphere Reserve. As such, most of La Palma’s 708.32 km2 remains pristine and provides a safe habitat for its diverse flora and fauna. Over 80,000 people are living in the 14 municipalities of La Palma with most in the capital city of Santa Cruz de La Palma. In many of its small towns, there is an air of tranquility as well as history. From the villages perched on hills to urbane beachfront areas, each offers its distinct charm. Those who have a penchant for beautiful old towns will have the time of their lives at Santa Cruz de La Palma. The history of this remarkable place is as colorful as its historic quarters. 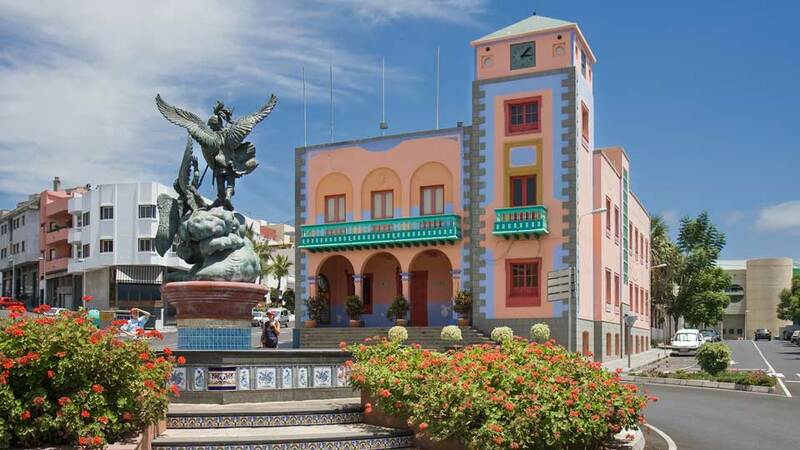 Strolling around the Old Town, visitors will see age-old mansions and buildings exuding traditional Canarian architecture. Even its cobblestone paths and gorgeous stately houses still breathe colonialism. As such, this small and cozy town has been declared a Cultural Asset in the historic-artistic category. Santa Cruz de La Palma, viewed from the ocean, is like staring at a striking painting. Pastel-tinted villages set against the volcano dominating the backdrop, it is as if this is where God’s and man’s creation met. Los Llanos de Aridane is a picturesque town located on the west of the island. 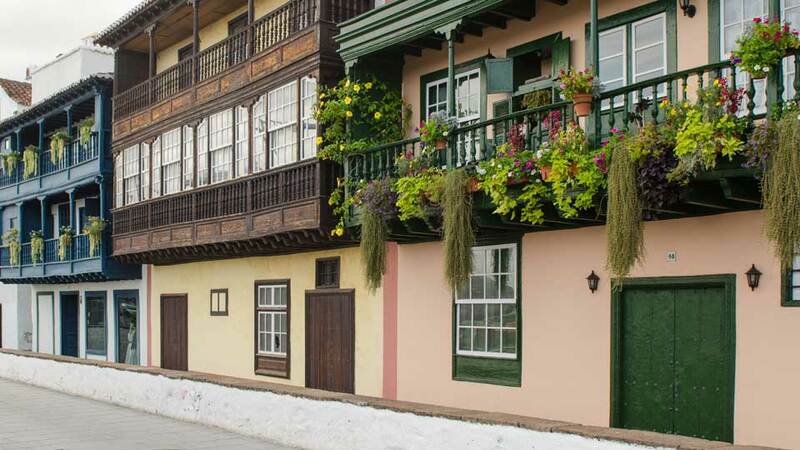 Its Old Town encapsulates the traditions of the La Palma. 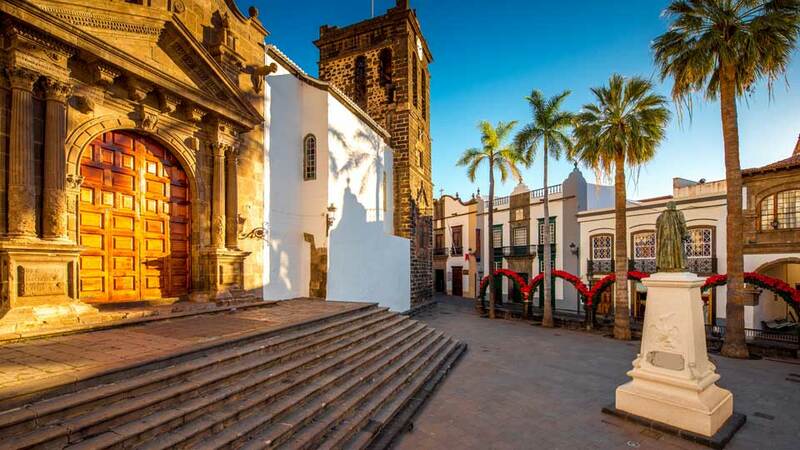 Soak up the colonial atmosphere and follow the cobbled streets that lead to the Church of Los Remedios. In front of this 17th-century church is Plaza de Espana which houses some of the oldest Indian Laurel Trees in the archipelago. Wandering around this pedestrian zone, visitors can’t help but admire the well-preserved traditional houses. Quaint cafes also dot the area, perfect for those who want to savor local delicacies while passing the time. For guests wanting to have the best souvenirs from the island, Villa de Mazo is the place to be. This town, located only a few minutes from the airport, has a plethora of traditional crafts such as its famous embroidery. After souvenir shopping, proceed to the local market which has the freshest produce from town. Here, visitors will find the finest qualities of fruits and wines straight from the town’s vineyards. Just like the old quarters of other towns on the island, Tazacorte features cobblestone paths and traditional 16th-century houses. Set in the elevated part of the town, visitors can have a delightful peek into the island’s past all the while savoring the views of the Atlantic Ocean. Tazacorte is also known for its Banana Museum, the only museum in Europe dedicated to the tropical fruit. Opened in 2004, it houses interesting exhibits about the origin, variations and the fruit’s significance to the history and economy of La Palma. In the northwestern part of La Palma is Las Tricias, a peaceful suburb where rich history and the beauty of nature meet. Breathe in fresh, countryside air while walking down the “Dream Path,” a route from the village center to ancient caves where the Guanches lived. This route traverses a landscape of orange and almond orchards, making for a rejuvenating stroll. Other interesting spots are the old windmill, scattered traditional houses and an attractive row of Dragon Trees. To most visitors, the Canaries is synonymous with beaches. Thanks to its gorgeous sunny climate and a fantastic location in the Atlantic Ocean, visitors can pack as many swimsuits as they want any time of the year. Home to tens of unspoiled beaches, La Palma, is a beach and nature lovers’ paradise. Endless spits of dark volcanic sands and azure waters await. Volcanic rock and sand beach and the dramatic views of nearby cliffs await at Playa El Faro. This beach features two lighthouses, marking the southernmost tip of the island. On most days, its calm waters and gentle waves make it a perfect place for a refreshing dip. Also, it is accessible by public transport and has ample parking spaces. Despite its popularity, this wild beauty managed to maintain its remoteness and tranquility. Dubbed as ‘the green puddle’ of La Palma, Playa de Charco Verde boasts 150 meters of beautiful dark sand beach. Surrounded by cliffs and banana plantations, the water in Charco Verde is shallow and turquoise-colored. As such, this beach is a favorite among families with kids in tow. The calm waves are soothing to the senses and ideal for a relaxing swim. Protected by breakwaters made of volcanic rock, Los Cancajos Beach guarantees gentle waters throughout the year. Aside from excellent swimming conditions, the abundant marine life and stunning underwater caves allow for exceptional diving and snorkeling experiences. This semi-urban beach is complete with necessary facilities including parking spaces, toilets, and showers. Sunbeds and parasols are available for hire. After long hours of basking in the glory of the La Palma sun, wander to the nearby restaurants where for some fresh seafood dishes. Waving the blue flag with pride since 2007, Puerto Naos is among the most valuable beaches on the island. 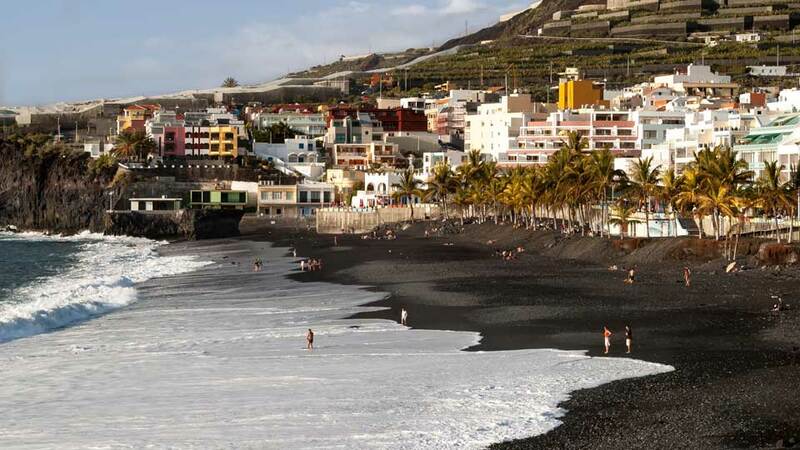 Boasting 600 meters of unsullied black sand beach, it is the largest beach in La Palma. After having some splashing fun in the waters, bathers may take shade on the palm-dotted coastline under one of the parasols. There are also some kiosks on the beach offering refreshing drinks and even sundresses. As the day ends, the promenade comes to life with its slew of bars, restaurants, and cafes for every taste and budget. Rated excellent by over 70% of its visitors, Playa Nogales is easily one of the best beaches on the island. Situated at the bottom of the cliffs of Puntallana, this beach requires a strenuous 10-minute descending walk from the parking lot. But the bright dark sands backed by soaring cliffs are worth every difficult step. On windy days, the waves tend to be harsh making it a perfect spot for surfing. Moreover, the isolation of this hidden gem makes it a favorite among nudists and those who need extra helpings of peace and tranquility. La Palma’s extraordinary natural beauty is full of surprises. With so many things to see and each being unique, it’s impossible to describe all of them with one adjective. Indeed, it’s astonishing landscape and indigenous flora and fauna inspire visitors to explore each corner of the island. 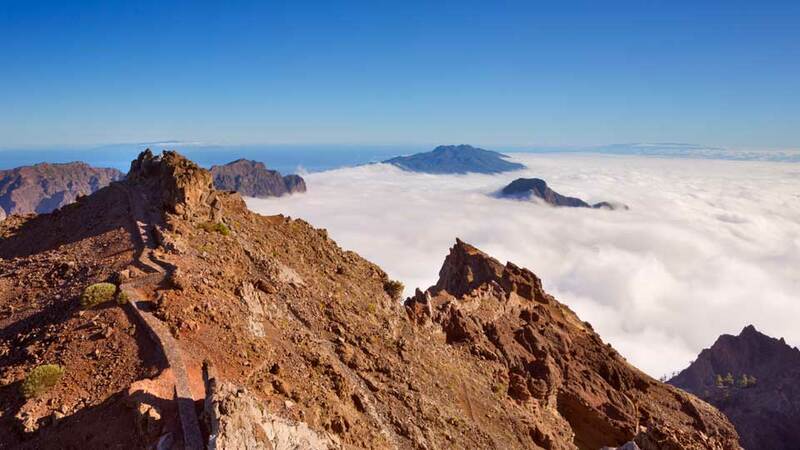 In the heart of La Palma lies its icon, the breathtaking Caldera de Taburiente National Park. This volcanic caldera, formed millions of years ago by erosion, is where the island is in its more pristine state. 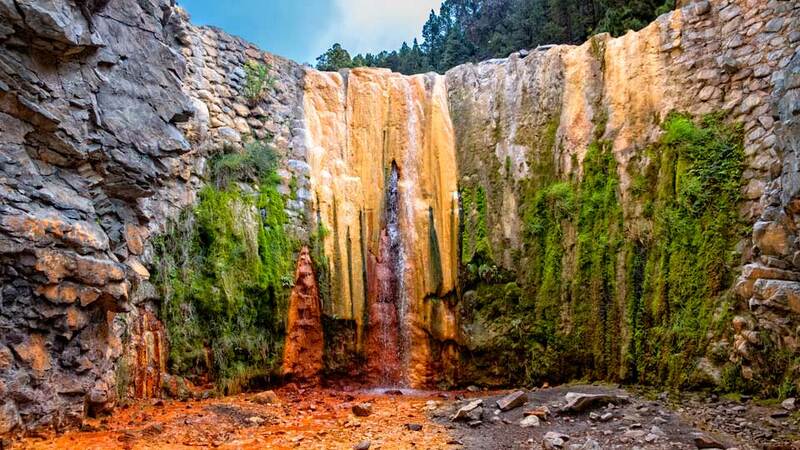 Wandering around, visitors will find themselves immersed in nature passing through cascading waterfalls, freshwater springs, and beautiful walking trails surrounded by dense Canarian pine woods. Cumbre Vieja National Park, known as the “Spine of La Palma,” extends from the center to the southern part of the subtropical island. Take a walk over the mighty and historic volcanoes through trails passing by prehistoric lava flows, and onto the precipices that offer dazzling surrounding views. Visitors surely won’t miss the stark contrast of lush pine forest that and the dark color of the volcanic earth. Visiting the volcanoes of Teneguia and San Antonio is like stepping into Mars. The 1971 eruption that resulted in a landscape of volcanic ash and petrified lava flows is still fresh in the air. From the crater, its highest peak, hikers can savor the views of one of the most beautiful volcanic panoramas in all of the archipelago. Also seen beyond the arid landscapes are the town of Fuencaliente, the Playa del Faro, and the vast Atlantic Ocean. Enjoy a sweeping view on the edge of the Taburiente crater, the highest point in La Palma. At over 2,200 meters above sea level, Roque de Los Muchachos rewards its visitors with the views of the surrounding landscapes and an immensely deep and large crater below. On a cloudless day, even the neighboring Tenerife, La Gomera, and El Hierro can be seen hovering over the ocean. Situated in a National Park, visitors can’t go to La Palma without paying a visit to this one of a kind viewpoint. One of the most visited viewpoints is the La Cumbrecita. Besides offering a spectacular view, it is also the start of the Ruta de Las Galerías route which leads to the camping site of Caldera de Taburiente. When viewed from the motorways, Los Tilos Forest looks like a large bunch of broccoli. Experience a thousand shades of greens in this dense prehistoric Lauri Silva forest. Hike through a jungle of endemic flora and stumble upon cascading waterfalls, tunnels, and meandering springs. One of the last surviving laurel forests in the world, visitors get the chance to walk where the dinosaurs wandered millions of years ago. Another way to get to know La Palma, next to exploring its natural wonders, is by visiting its excellent museums and churches. A day won’t be enough to gain an in-depth understanding of the island’s rich history and heritage. But visiting some of these spots should offer a closer look at the island’s rich history. Sitting in a tranquil spot surrounded by greenery is Santuario de la Virgen de Las Nieves. The façade of this Canarian-style Catholic church is simple and elegant. Stepping inside, visitors will be in awe of the fabulous ornate interior. Mudejar-carved ceiling, eye-catching sculptures, and chandeliers surround the altar of the Virgin Mary. Its 14th-century sculpture is the oldest religious statue in the Canary Islands. Located in the administrative capital of the island, the Church of El Salvador sits peacefully on one side of Plaza España. This baroque-style church looks like a fortress on the outside and features a Renaissance portico. Guests venturing inside set their eyes on one of the most remarkable Mudejar ceilings in the Canary Islands. The Insular Museum, housed in a former 16th-century monastery, is the biggest museum in La Palma. Visitors will find excellent exhibits ranging from Guanche items to stuffed endemic animals. Delightful Hispanic-American paintings and top quality contemporary art are also carefully displayed in galleries. This eye-catching museum looks like the Santa Maria, Christopher Columbus’ ship, stranded in the heart of Santa Cruz de La Palma. It would be a shame not to visit this excellent museum when visiting the island’s capital. It features some of the most magnificent model ships among other equally impressive marine-related exhibits. History buffs will also find the ancient nautical letters and valuable scrolls from the Indian Courts interesting. At El Paso Silk Museum, visitors not only learn about its history but are also taken through the whole process of silk making. This fun and interactive museum houses ancient looms and jars of colorful dyes. Silk was produced on the island since the 16th century, but it is only the town of El Paso that still does it. This museum is also the last traditional silk factory in Europe, making a visit even more meaningful. Learn more about the island’s number one export at Tazacorte Banana Museum. Dedicated to the banana industry of La Palma, visitors gain an in-depth understanding of this tropical fruit. After a couple of hours wandering around, head on to the terrace for some relaxing time while sampling their complimentary banana. Also, the terrace offers unrivaled views of banana plantations cascading down the Atlantic Ocean. 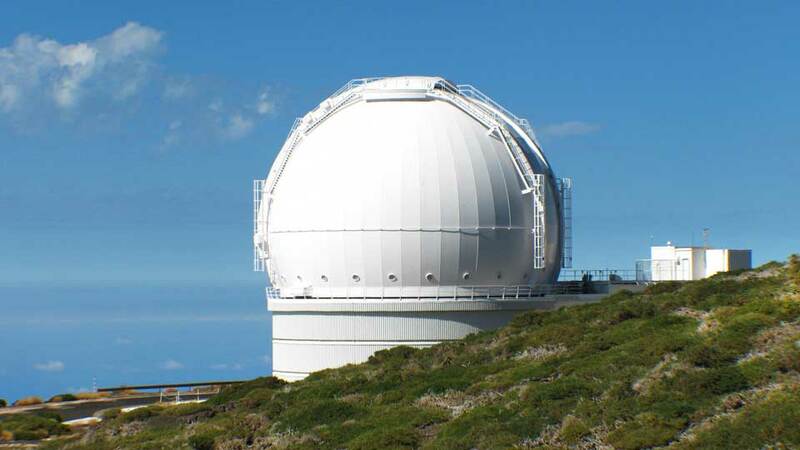 The clean and clear skies of La Palma are one of the best in the world for stargazing and astronomy. The location of the island and its climate makes the cloud act as a natural mirror, blocking light pollution from the towns beneath. Furthermore, the island is a starlight reserve which means that strict light pollution laws protect it. Go on a guided night tour at a viewpoint or get as close to the cosmos as possible through the island’s observatory. Situated at almost 2,400 meters above sea level, visitors can’t help but feel as if the stars are within their reach. The world-class Roque de Los Muchachos Observatory, without a doubt, is the best place for stargazing. It is also home to the largest optical telescope ever created and has the most extensive fleets of telescopes worldwide. The viewpoint of the San Antonio Volcano in Cumbre Vieja offers the widest window to the universe at night time. Situated at an altitude of over 600 meters above sea level, it allows for a view of multiple constellations even with the naked eye. Even without a telescope, visitors can still see the bright skies up close and wish upon a million twinkling stars. La Palma is not completely devoid of modern amenities. For instance, it is also home to a few amusing theme parks. Here, visitors learn more about the native plants and animals, as well as have fun. 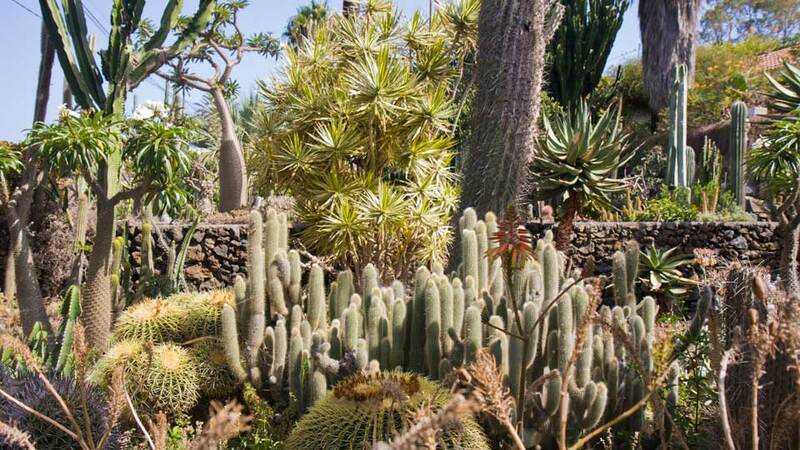 Built on the slopes of the El Galeon’s ravine, Maro Parque is located just a few minutes from Santa Cruz de La Palma. The park, spanning over 7,000 m2, is dedicated to conserving exotic animals. Guests will have a chance to get up close and personal with marmosets, different species of reptiles, raptors, ostriches and more. There is also a colorful aviary that houses cranes, parrots, and turkeys. The exotic garden, located in El Paso, features more than 700 fascinating species of cactus. At Palmex Cactus, guests can also buy seeds as a souvenir, as well as tools and other materials to plant their succulents. In the heart of El Paso is Paraiso de Las Aves, a zoological and botanical garden. Here, visitors will find animals in danger of extinction such as the Calau de Malabar. For a deeper understanding of these animal and plant species, the park conducts guided tour at an additional cost. Discover the eclectic gastronomic scene in La Palma. Over the years, the island has been receptive towards the habits and customs of its colonists and immigrants. This is especially true when it comes to its cuisines. The varied options, local or international, and sometimes a mixture of both, never fail to tantalize the taste buds of its visitors. For couples celebrating special moments or tourists wanting to try every local experience available, why not spend some extra bucks for a meal? The fine dining restaurants in La Palma does not disappoint from their excellent staff service to delicious and freshly prepared cuisines. Exquisite in its content and its cuisine, El Sitio offers a unique and incomparable dining experience to its guests. Innovative flavors, heady scent, and subtle nuances combine in a local cuisine with international influences. Inside the restaurants, visitors may dine in style under shimmering chandeliers, delicate porcelains, and elegant furniture. This restaurant, set in a stunning old building, is a favorite among families celebrating milestones or simply having a good time. It’s local and international cuisines are well regarded by its patrons and even first-timers. Besides beautifully plated and delicious food, they also offer exquisite wines to complement the meals. When visiting new places, visitors will never go wrong with mid-range restaurants. Not too fancy, not too plain; just the right amount of good food for a reasonable price. Among the thousands of restaurants in La Palma, perhaps 70% of them lies in this category. As such, guests will have a plethora of options to choose when it comes to mid-range restaurants. A restaurant and bar situated by the beach, Bar Charco Azul serves the freshest seafood dishes in town. Its owner is a hands-on fisherman who makes sure that the food served is fresh and worth every penny. This restaurant, set in a rustic house with dark red paintings and wooden furniture, screams Spanish on all corners. 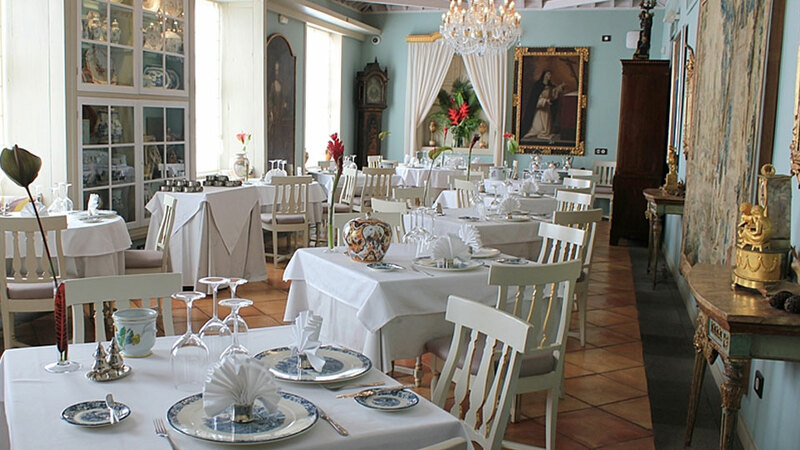 Casa Osmunda is in a league of its own, way above all other similar restaurants in La Palma. Fresh tuna on avocado, delicious braised duck and a marmalade that’s to die for – these are the favorite dishes from the menu. Spanish wines are also available for an affordable price. At Chipi-Chipi, guests can enjoy some great meals in a great location. A variety of mouthwatering grilled meats, served with loads of wrinkly potatoes and spicy sauce awaits here. Dishes are mostly Canarian which visitors can enjoy feasting on in the pretty garden or the central terrace. When on holiday, eating at fine-dining restaurants from breakfast to dinner is ideal, but it’s not always the case. That is true for young couples and families who’d rather spend their money on adventures than meals that come with different sets of knives and forks. With a multitude of restaurants serving affordable yet mouthwatering selections, visitors looking to stretch their budgets in La Palma will never run out of options. For those wanting to have a quick bite while exploring the island capital, El Cafe de Don Manuel is the perfect stop. This café, set in an old building, serves the best coffee and green tea in town. Drop by at this charming café and feel energized for the rest of the day exploring the old borough of Santa Cruz. This family-run restaurant offers a warm and friendly dining experience to its guests. 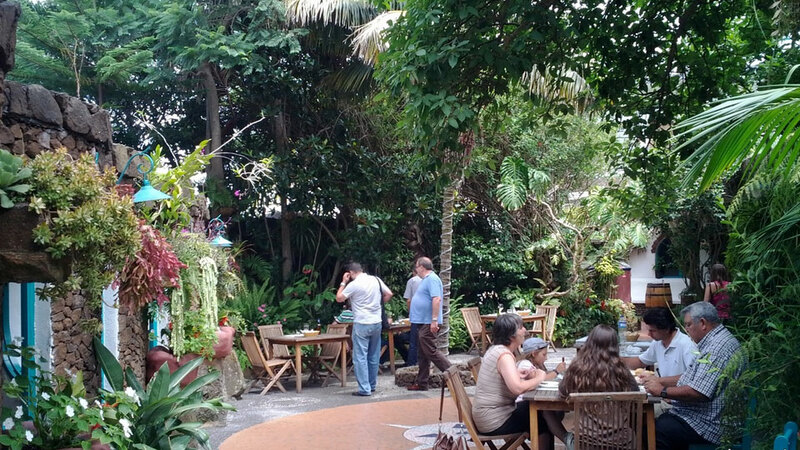 Located in Barlovento, it is a favorite pre- or post-hike stop. They serve a variety of delicious local cuisines from breakfast to late dinner. Situated in the shadow of the evocative 18th-century church, Tapas Trekking keeps it simple with a menu of tapas and platters to share ranging from homemade croquet to local cheese and ham. Although often outshined by its neighboring islands in the Canaries, La Palma never fails to captivate the hearts of its visitors. Hence, those who have visited once surely return. With the steady stream of tourists, more and more accommodations have set up location around the island’s favorite destinations. These vary from posh beachfront hotels to cozy cottages in remote rural towns. There are several luxurious and serviced hotels spread across the island near its top holiday destinations. Aside from great amenities and service, these posh accommodations boast top-notch locations, either perched up on a hill or set a couple of steps from the waters. Situated right up against the coast, the serene H10 Taburiente Playa lays a beach and walking trails right at its visitors’ feet. Like Los Cancajos, the town it sits in, this 4-star hotel is serene. Guests tend to gear up and head for the mountains or spend some time at one of the nearby beaches. Every facility, from the restaurant that has an ocean view terrace to the pools skimmed by palm gardens, is designed for relaxation and taking it easy. When at La Palma Princess & Teneguia Princess, visitors checking in for a short holiday will never run out of pools to dip in. The hotel has 11 pools, including a huge one with bridges. 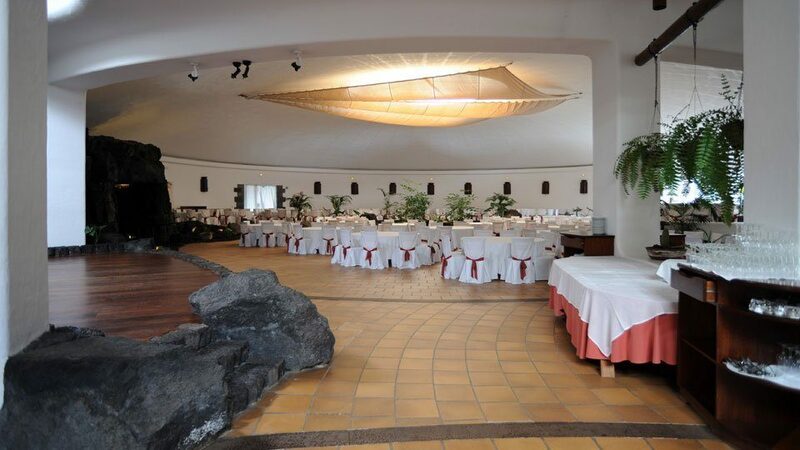 There is also a buffet restaurant specializing in delicious Canarian cuisine with excellent views. Perched on a cliff, guests wake up to the view of surrounding banana groves and the shimmering Atlantic Ocean. Outside, there is a bus stop for guests who want to get out and about the town. 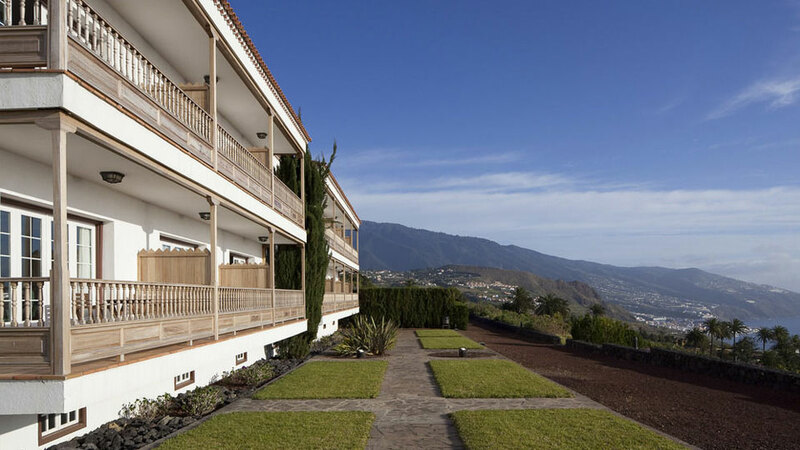 Located on the slopes of a rugged hillside, just a couple of steps from the beach, Hotel Sol La Palma provides a back-to-nature ambiance with style. This hotel is surrounded by a banana plantation and features an outdoor pool set in the midst of palm trees, sunbeds and parasols. Its rooms are spacious and comfortable with views of either the ocean or the mountains. La Palma boasts a wide variety of country cottage and gites-type accommodation in most parts of the island. These holiday rentals are bookable via the government-run websites and various agencies. This bed and breakfast sports a hacienda look with its out-of-the-way setting and stunning views of the ocean. It’s moderately new building has a traditional twist, with a watchtower and a Moorish courtyard to give it an authentic Canarian-style feel. This complex, situated on a hill in a secluded spot, is cocooned in 44 hectares of tropical garden. The old town and volcanic beach in Santa Cruz are just a 10-minute bus ride away. La Casita is a romantic Canarian cottage get-away located in the rural north of La Palma. This holiday rental, situated on a Spanish estate, has been restored to provide comfortable yet quality self-catering cottage. It sports a countryside atmosphere with panoramic views of the Atlantic Ocean. There is a bus stop conveniently located some 50 meters away for those wishing to explore the nearby places. 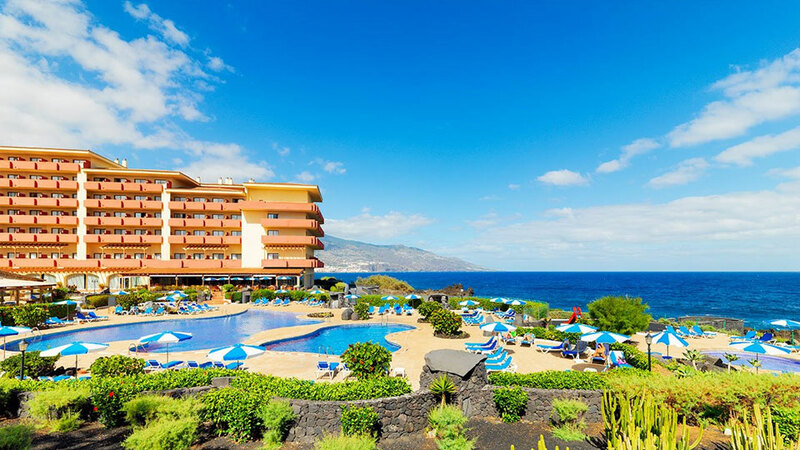 The La Isla Bonita of the Canaries is located in the northwest of Tenerife and La Gomera. Interisland travel in the archipelago by ship is a reliable and cost-effective option. From the others islands, some ferries take visitors straight to the beating heart of the island, Santa Cruz de La Palma. For those who are not fond of traveling through the waters, the option to take a plane is also available. It means riding on a turboprop ATR-72 by one of the local airlines to the island’s capital. Arriving guests may start off at the Santa Cruz de La Palma Old Town upon setting foot on the island shores. Once on the island, getting about and around is easy with car hires. Driving is the best way to discover remote destinations of La Palma. The roads in are well-maintained and signposted. Taking public transport is also an excellent option. Buses provide on time and reliable service for less than €2. Alternatively, some visitors can use taxis to get around the island. The fare is a little over €1 per kilometer. Some people call La Palma the Wild Beauty of the Canaries, while others refer to it as the Green Pearl. But for most, it is the La Isla Bonita. Seeing La Palma for the first time is like discovering a treasure pot at the end of the rainbow. With holiday resorts playing second fiddle to awe-inspiring volcanic landscapes and pine trees, this island reveals a lesser-known side of the Canary Islands. It’s excellent hiking trails, lush flora and fauna, and clear skies more than compensate for the absence of gold and white sand beaches. Indeed, experiencing this island is experiencing nature at its finest state. Aside from lush natural landscapes, there is also a multitude of charming towns and villages that allow visitors to have a glimpse of the island’s beautiful history and heritage. The capital’s dreamy old town, age-old baroque churches, and excellent museums all add up to the beauty of this island. And, provided unimpeded development stays at bay, it is likely to remain that way.